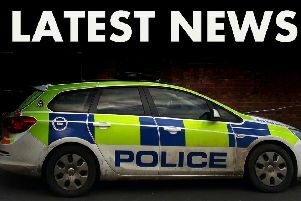 Lincolnshire Police are urging rural communities to help tackle rural crime following a spate of thefts in the Wolds. In recent months Louth and surrounding villages have been subject to a spate of rural crime. This has included including burglaries to farms, workshops and garages with tools, agricultural vehicles and Land Rover 4x4s (and Land Rover parts) having been stolen in most cases. As part of Operation Aardwolf, put in place to tackle rural crime, police officers from Louth have been joined on patrol by PCSOs, volunteer Special Constables and specialist officers from the East Midlands Specialist Operations Support team (EMOpSS). They are also working closely with their colleagues from Caistor and Market Rasen. Louth’s Community Policing Inspector, Richard Myszczyszyn said: “I understand the effect these crimes have been having on victims in our rural communities and as a result we have been making proactive efforts to address this issue. “We rely greatly on information and intelligence from the public. If you have anything you think might be relevant, or even just have any suspicions about particular people or activity, please contact us on 101 as soon as possible. Members of the public can also provide information anonymously via Crime Stoppers on 0800 555 111. * This week Ryan Peel (29 yrs) from Grimsby appeared before Lincoln Crown Court charged with a series of burglaries including two in the Louth area. He received three years imprisonment. * Daniel Charnock from Cleethorpes was arrested in a vehicle stolen from a burglary in the Grimsby area. He was found within the garage of an address at Holten Le Clay in the early hours of May 26. He was charged and on Bank Holiday Monday pleaded guilty and he received 18 weeks imprisonment. * A 42 year old man was arrested for burglary offences after suspected stolen property was recovered from his home in Old Bolingbroke. * Three men from Leicester have been arrested on suspicion of being involved in a burglary at Louth on May 21. They are on bail pending further enquiries. * A 25 year old man from Conisholme was arrested on suspicion of a burglary at a dog grooming premises in the Louth area. He is currently on bail. The locating of hidden stolen property in woods near to Binbrook. Items recovered have been linked to burglary offences in Woodhall Spa and North Willingham.